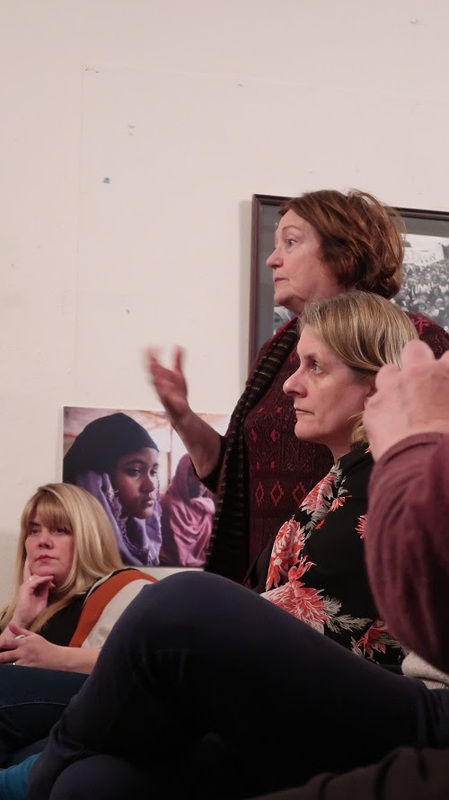 12 April 2018 – TRANSCEND Media Service – Last night, Nobel Peace Laureate Mairead Maguire’s Peace People activist house hosted a Burma talk. 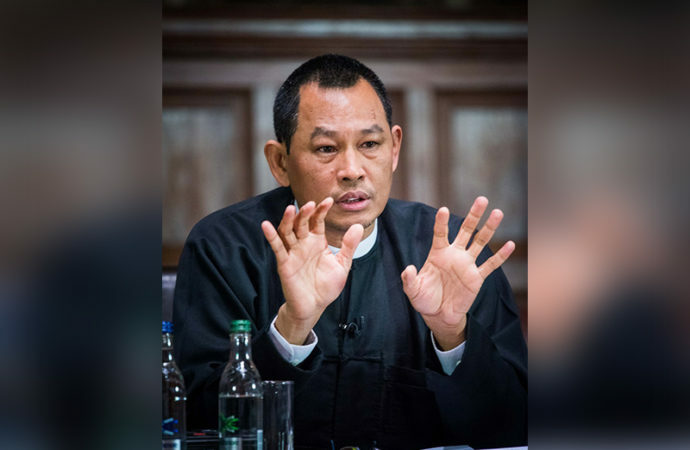 I spoke on the urgent need to inform and mobilize grassroots communities about Myanmar genocide in order to build pressure on respective EU governments, as well as others to help end the genocide and support the Rohingyas’ NEED–not simply RIGHT–to a protected homeland. 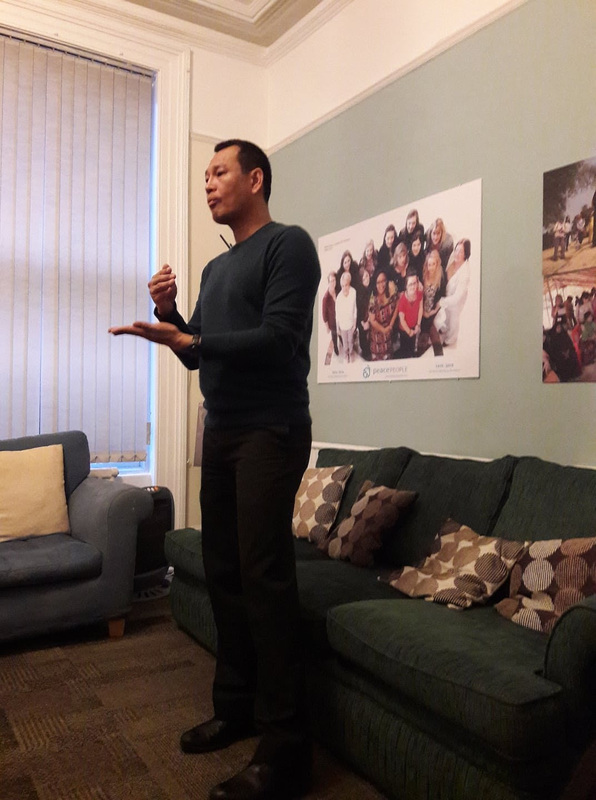 *A Buddhist humanist from Burma, Maung Zarni is a member of the TRANSCEND Network for Peace Development Environment, former Visiting Lecturer with Harvard Medical School, specializing in racism and violence in Burma and Sri Lanka, and Non-resident Scholar in Genocide Studies with Documentation Center – Cambodia. His analyses have appeared in leading newspapers including the New York Times, The Guardian and the Times. Among his academic publications on Rohingya genocide are The Slow-Burning Genocide of Myanmar’s Rohingyas (Pacific Rim Law and Policy Journal), An Evolution of Rohingya Persecution in Myanmar: From Strategic Embrace to Genocide, (Middle East Institute, American University), and Myanmar’s State-directed Persecution of Rohingyas and Other Muslims (Brown World Affairs Journal, forthcoming). He holds a PhD (U Wisconsin at Madison) and a MA (U California), and has held various teaching, research and visiting fellowships at the universities in Asia, Europe and USA including Oxford, LSE, UCL Institute of Education) , National-Louis, Malaya, and Brunei. He is the recipient of the “Cultivation of Harmony” award from the Parliament of the World’s Religions (2015). 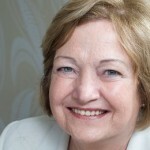 Mairead Corrigan Maguire, co-founder of Peace People, is a member of the TRANSCEND Network for Peace Development Environment. She won the 1976 Nobel Peace Prize for her work for peace in Northern Ireland. Her book The Vision of Peace (edited by John Dear, with a foreword by Desmond Tutu and a preface by the Dalai Lama) is available from www.wipfandstock.com. She lives in Belfast, Northern Ireland. See: www.peacepeople.com. 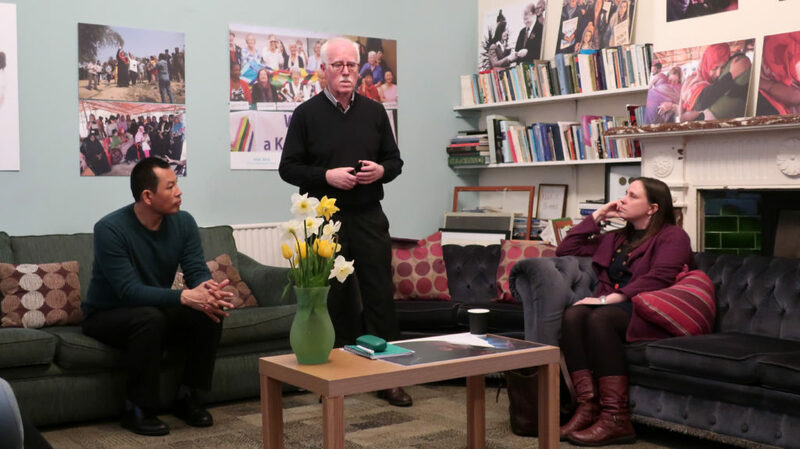 The Peace People began in 1976 as a protest movement against the ongoing violence in Northern Ireland. 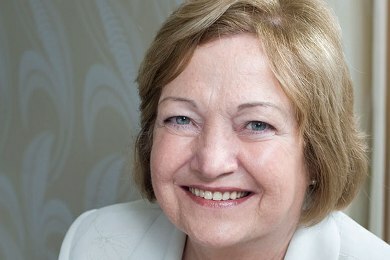 Its three founders were Mairead Maguire, Betty Williams and Ciaran McKeown. Over 100,000 people were involved in the initial movement and two of the founders, Mairead and Betty, received the Nobel Peace Prize for that year. 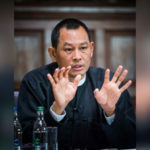 This article originally appeared on Transcend Media Service (TMS) on 16 Apr 2018: TMS: The Tragic Farce in Myanmar.